How valuable would it be to have every General Conference talk given by fourteen latter-day Presidents of the Church in one powerful volume? Spanning 165 years and containing over 800 discourses from Joseph Smith through Howard W. Hunter, this landmark collection testifies of continuing revelation through the timely truths of living prophets. The editor, Eric D. Bateman writes, "I love the gospel of Jesus Christ, and I love the prophets' words, the truth of which truly does make us free. 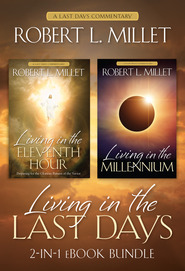 It is my hope that by studying these words we will gain a deeper understanding of our Heavenly Father and his Son, Jesus Christ.” The foreword to this special collection was written by Prof. Robert L. Millet.